In the past, we have covered some controversial VS topics, such as the Boeing 787 vs Airbus A350, or the notorious Airbus A220 vs Boeing 737. But this article might be the most decisive yet! The aviation world rapidly waits for the announcement of the next generation of aircraft, dubbed the ‘New Midsized Aeroplane’. 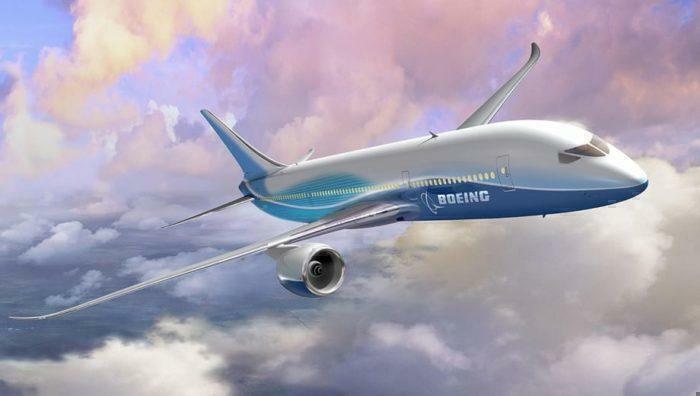 It has been rumored that Boeing will reveal their vision, the Boeing 797, in Paris next year. A mock-up of the Boeing 797. Why does the world need a new midsized plane? For those out of the loop, the midsized plane is designed to fill a very special niche that is currently difficult to do so with Boeing planes. The different aircraft ranked by capacity. The Boeing 797 would fill the black outline. As you can see from the chart above, Boeing does not have an aircraft that can serve the 250 seat range, but also the flexibility to land at smaller airports. At first, you might imagine a further stretch of their very successful 737 aircraft, but the problem is that the wings are set too low on the 737 and thus the size of the engines are greatly limited (Otherwise they would drag along the ground). This is needed for dense routes that are currently being over-served by a Boeing 787 Dreamliner, or under-served by multiple 737 jets. A great example would be the very popular Melbourne to Sydney route, that is short, dense and served by many Boeing 737s and Airbus A320s. The first airline in the market to use the 797 would be able to beat any competition. Plus, it would be a given that the latest 797 would incorporate Dreamliner technology, be more comfortable and be far more fuel efficient. Boeing believes that they could sell up to 4,000 of these aircraft over the next 20 years. Hence, the world eagerly awaits the arrival of this aircraft. Airbus, of course, has been very quick to point out that they can modify one of their own planes to fill the niche, the Airbus A321XLR. It has not been officially confirmed, but this would mean they could come to market far quicker than Boeing, and potentially steal a significant chunk of the 4,000 sales. But which is better? Let’s have a look at the rumors and find out what would come out on top from what we know. How will we be comparing the two aircraft? Naturally, as neither officially exist yet we will have to make some pretty big leaps of faith. For the Boeing 797, we will assume that they will use the same technology as the Boeing 787 Dreamliner, and any improvements in the 777x. We will also take dimensions from the older Boeing 757, as it would be around the same size as this aircraft. Interesting there is apparently going to be two variants of the 797 (Range of 5,000 nmi (9,300 km) with 225 seats), with the stretch version having a shorter range but more seats (range of 4,500 nmi (8,300 km) with 275 seats). For the Airbus, it will be based off the A321neo or A321LR. Airbus is currently working on the design for an aircraft, so we will take what little rumors we do know as fact. If we make any mistakes, be sure to let us know in the comments so we can make an accurate as possible article. Again, it is just for fun so take all the numbers with a grain of salt. *Engines are currently out for tender for the Boeing 797, so thust is still yet unconfirmed. First things first, let’s look at passenger capacity. It’s made a little more complicated as there are going to be two variants of the Boeing 797, but we will assume 225 in a two-class seating arrangement. The Airbus, on the other hand, will only have around 210 seats in a two-class capacity, leaving a little more to be desired. Seat map of a Boeing 787-8, seating around 250 passengers in two classes. This would make it perfect for airlines like Jetblue, who operate to regional airports throughout America and offer two classes on board. Additionally, the Boeing 797 will be a twin-aisle whilst the A321XLR is a single aisle. The Boeing 797 will allow much quicker boarding and deplaning. This is where we see the biggest difference between the two companies. Airbus has chosen to go a little slower to be more fuel efficient, whilst Boeing will most likely have the same speed at the Dreamliner. Whether or not this will be a deal breaker for some airlines remains to be seen. This is the hardest question to answer. Both Airbus and Boeing are claiming that their new plane will be more fuel efficient but until they are built we won’t know for sure. But let’s have a look at what they are claiming. 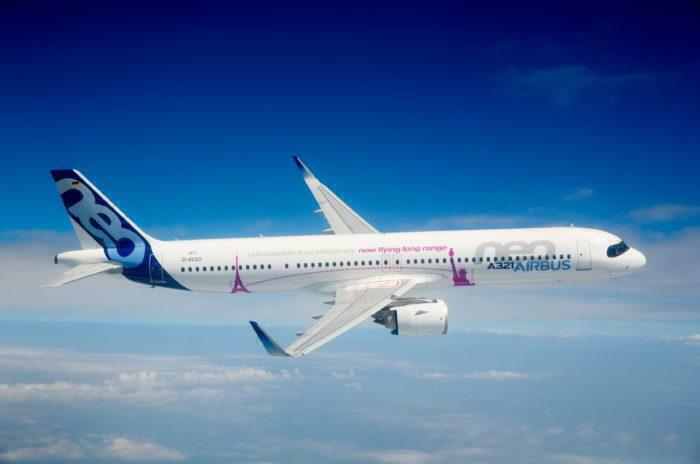 Airbus is proposing that their plane will be a continuation of their already excellent fuel efficient A321LR and neos. Likewise, Boeing is claiming the same 30% fuel efficiency compared to their previous Boeing 757’s and 767s. 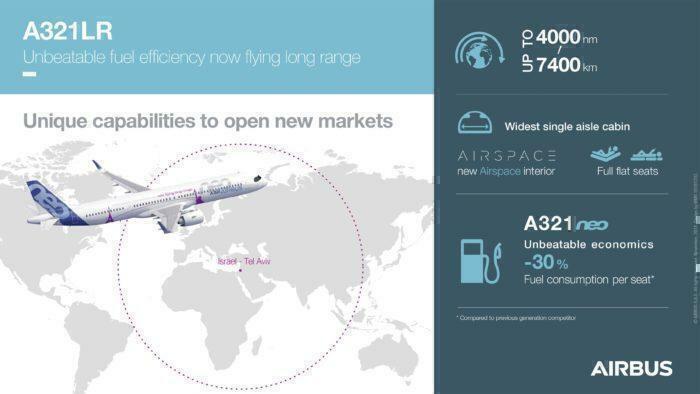 They are even claiming 40% lower running costs than the A330, which would make it a winner in the marketplace (if it doesn’t cost too much, see below). The real stalemate killer would be the material that the plane is built from. Will the 797 be made out of metal like the 737, or a lighter composite (thus more fuel efficient) like the 787? Whilst these planes will most likely only be operating in the 3,000-4,000 nautical mile range, it is still very attractive to have as long range as possible. The Boeing 797 just scrapes ahead of the Airbus, but the larger variant of the Boeing 797 has a shorter range than the Airbus (only 4,500 Nm). Both the Boeing 797 and the Airbus A321XLR will be using the latest technology available on the market. The Airbus will be very comfortable, with a quiet cabin and all the comfort improvements found on the A350 range. Rumors from inside Boeing have also suggested that economics are more important than comfort, but recent improvements such as better pressurization, fresh air circulation, humidity controlled cabin would go without saying. For specifics, the early 2018 design has a 737 MAX-style tail cone, large 787/777X-sized cabin windows, a 757/767/777-style windscreen, a 767-200 door arrangement, and short engine inlets. It’s a bit harder when it comes to figuring out the estimated cost. The problem is that Airbus is modifying their existing plane, whilst Boeing will be building a new one from scratch, an estimated $10-15 billion USD price difference. Currently, an Airbus A321LR has a price point of around $114 million USD. Whether or not it will even be financially viable for Boeing remains to be seen. Boeing has suggested that the price of their new plane will be around $75 million per unit to be competitive, but they might need to charge more to make their money back. Overall, the Boeing 797 is designed for the market in mind, whilst the Airbus A321XLR seems like a band-aid solution. As for me, I hope that we one day see the REAL Boeing 797 that was rumored 20 years ago. Which plane do you think is better? A couple of points: The 797 will have a fuselage width of at least 4m, probably 4.2m to allow 222 seating, not 3.7m as the 757 had. The A321XLR won’t have all the comfort improvements of the A350 as it would require a carbon fibre fuselage to take the extra pressure of operating at 6000 feet equivalent pressure. 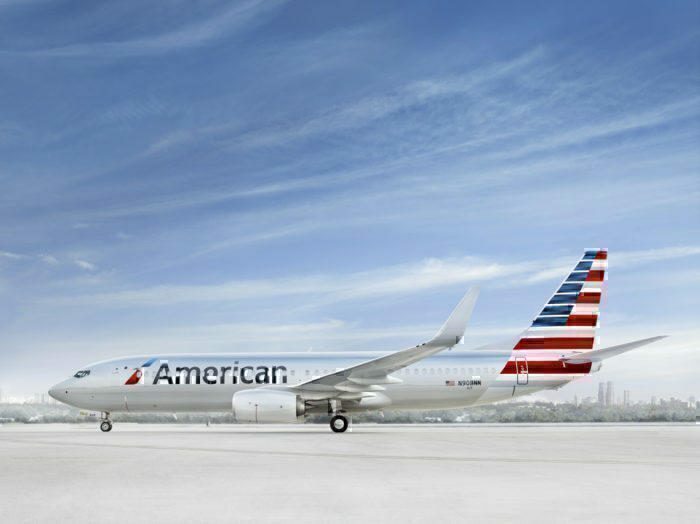 The A321 would be available much sooner, and would probably be cheaper. The speed of deplaning won’t matter so much as long as the journeys are long, the A321 could probably fly for 10-11 hours at M0.78 and 4700 nmi. The trick is to keep the turnaround time to < 12 hours so you can fly there and back in 24 hours. It strikes me Airbus should add another 3.2 m to the A321. This would allow an extra 4 rows of seats in short haul, or much better seat pitch in long/medium haul. Might need new wings as well, however to lift all that. Hey James! Great points. Turns out that Airbus is going with the A330neo as the Boeing 797 competitior! The specification table shows the B797 as having a cabin width of 3.54m and the A321XLR with 3.70m. The former is a twin aisle with 7 abreast. Isn’t the A321 a single aisle and 6 abreast? If so, the B797 should be at least 0.8m wider than the A321. I think a big issue wasn’t mentioned…flying for 10 hours on a single-aisled plane seems to me like a torture…when looking for a long-haul I would always prefer a two-aisle, it provides a much better experience, narrower plane ticket would need to be way cheaper. …the big advantage of the 797, it uses the the same composite technology of the 787 which as pointed out allows for a lower cabin altitude and humidity control which makes it more comfortable and helps to combat jet lag. Even on a 3 hour flight that would be welcome. As the plane is also being marketed towards very thing long haul routes that would make a big difference. True the A-321 EXR would be ready sooner but it doesn’t make use of the construction and technical advances the 797 would have. The proposed shorter range A330 NEO is planned to have engine thrust re-rated downwards to help increase economics (which may also reduce cruise speed) but essentially it is still is going be a very big plane in comparison. this may limit its appeal to airlines like Icelandic which tends to fly long thin routes between Reykjavik and smaller secondary airports in North America and Europe rather than main hub gateways. From a passengers point of view, I’ve been disappointed that travel times don’t seem to be improving much, if at all. We seem to be on the receiving end of airlines whose primary concern is cost cutting, with efficiency of fuel burn as one of their primary drivers. And that is highly understandable. With that in mind, I look at the upcoming battle between these two, and cant help but wonder if the head start Airbus has by reusing and updating existing bodies may allow them opportunities down the line, to sweat their assets a little more today, and come out with an even bigger leap tomorrow, thus potentially leapfrogging Boeing by a not insignificant margin. Something along the lines of skipping an iteration, and saving themselves several billion dollars. They could potentially steal some sales in the beginning of this cycle, and then lose some sales towards the end of the cycle while Boeing have a superior plane, but they could then use the next few years and whatever advances are made in materials science, battery technology, etc, in order to plan the commercialisation and entry of their next contender at a time that suits them. Very interesting to see what the manufacturers will do. But coming back to the passengers point of view, I do wish we had a return to the speed arms race. I hate being locked in a confined space for extended periods of time, and would prefer to get off the plane faster if possible. I know Concorde will never return, but if the noises we’re hearing about the space are any indication, this may be something to look forward to. What if Boeing will use Aurora D8 for B797? It would change entire industry. Everything I have read is that customers are looking for a 757 replacement, which is a single isle plane. I don’t think the 797 will be twin isle, for many reasons. I think the author missed out on this logic. I would vote for any of those aircrafts as long as they have a really comfortable business class, especially if an airline would use them for flights from the US to Europe..